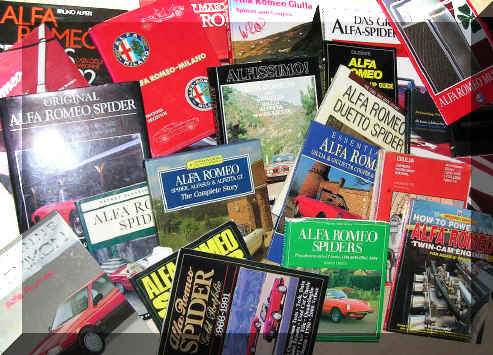 They all represent very good reading about the Alfa Romeo Spiders. Want to buy one of them? OK, just go ahead. Try the www.amazon.com, the www.millhousebooks.com or some of the other internet book shops. Use www.google.com if in doubt. Go the the website in question and type the ISBN # in the search box. The references are in no particular order. BTW, please do not just copy the material straight on. Especially you, who have almost everything I have published on your own website without any credit. Yes, I mean you! Oh yes, my own curiosity and all my good alfisti friends all over the world.